I smiled as I hung up the phone from my conversation with my sister, Nancy…the universe really can be quite generous at times. Not only would I be able to sneak away for a coveted weekend with her in St. Louis but on my return flight to Denver International Airport I would be able to see my cousin, Clark. Clark was the youngest in a group of cousins separated by only a few years. Most of us were born between 1952 and 1958 but he was the straggler, arriving in 1963. As a child, Clark was known as the ‘pest’, the five year age gap glaringly obvious to those of us over the age of eight. In time, he outgrew us all, reaching 6’-7” in stature and obtaining a doctorate’s degree in mechanical engineering. As a kid he had designed a rubric’s cube with an extra row and column to make the game a bit more challenging. My method was to simply pull off the colored squares and place them where they all matched if I got stuck. Perhaps this is why he has a mathematical theory named after him and I do not. In contrast to his height and intelligence was a child-like naiveté and gentleness that was endearing. As children our paths crossed every year or so when the sisters (our mothers) reunited in Alliance, Ohio or St. Louis, Missouri. When the reunion was in St. Louis, the three sisters and nine cousins would gather together for a ride on the river boat named the Admiral. It would mosey up the Mississippi river for a leisurely afternoon while we danced to music, played cards and pinball machines or just wondered around the boat taking in the scenery. Our encounters have been less frequent in recent years; weddings and funerals or an occasional conference here or there, so the chance meeting at the airport was a welcomed surprise. Clark would be in Denver for a two hour layover as he waited for the flight on the last leg of his epic journey. After several weeks in Ethiopia, he was returning home to his eight-month pregnant wife and two blond haired, blue eyed, pre-school daughters. Accompanying him were four new family members, Elsa, Yeshi, Sintayehu, and Kasanesh. What began as a simple desire to relieve the plight of an orphaned child grew into the adoption of four teenage girls from Ethiopia. The five sojourners had trekked across the world enduring grueling hours on airplanes and endless waits in airports as they moved closer towards their home in Albuquerque, New Mexico. Anne Knorr is a licensed architect in Colorado and has been the principal of an architectural firm for over 20 years designing homes. She is also a practicing spiritual director and writer. 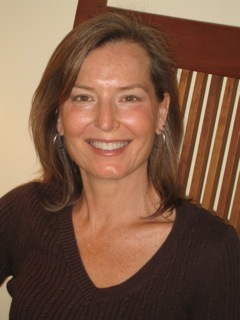 Anne has written and lectured about the connection between architecture and spirituality and offers workshops and retreats on the topic. She lives in Boulder, Colorado with her husband where she enjoys hiking the trails near her home. Posted on January 2, 2013, in Lois' Contest, Off the Beaten Path, Tales2Inspire, TALES2INSPIRE WRTERS CONTEST, Words to Inspire, Writers contest and tagged "CREATOR OF THE TALES2INSPIRE CONTEST", "TALES2INSPIRE CONTEST", Anne Knorr, author, inspiring tale, Lois W. Stern. Bookmark the permalink. 11 Comments. Great story! And I love the synchronicity of meeting the woman from Ethiopia as a special welcome the girls into their new country. I’m sure Anne will be happy to read your comment! What an amazing story! Thank you so much for sharing! Thank you for your responses to the story about adoption. 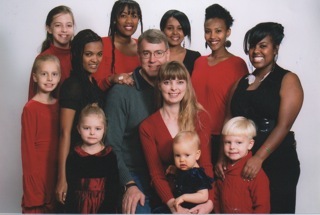 I am inspired by my cousin and all families that adopt children from another country. Anne Knorr writes an enlightening tale about the brotherhood of mankind. In her case it is her brother who joyfully takes on and adopts four young Ethiopian girls and adds them to his own growing family. It’s wonderful to read about Anne’s brother who shows unconditional love by adopting orphans, especially the ones who live in poverty in a country unable to feed its people. God surely smiles down upon this wonderful man and the sister who took time to share his story. I am inspired by my cousin as well and is willingness to open his heart and home. Ann, I so enjoyed your extraordinary tale about your cousin Clark adopting four young girls from Ethiopia. What a coincidence that the waitress at the Denver airport restaurant was also from Ethiopia. Life is full of surprises, as well as challenging. Thanks for submitting your tale. They say there is nothing that’s truly a coincidence. Events like these make me wonder. There’s really is something to say for 6 degrees of separation!